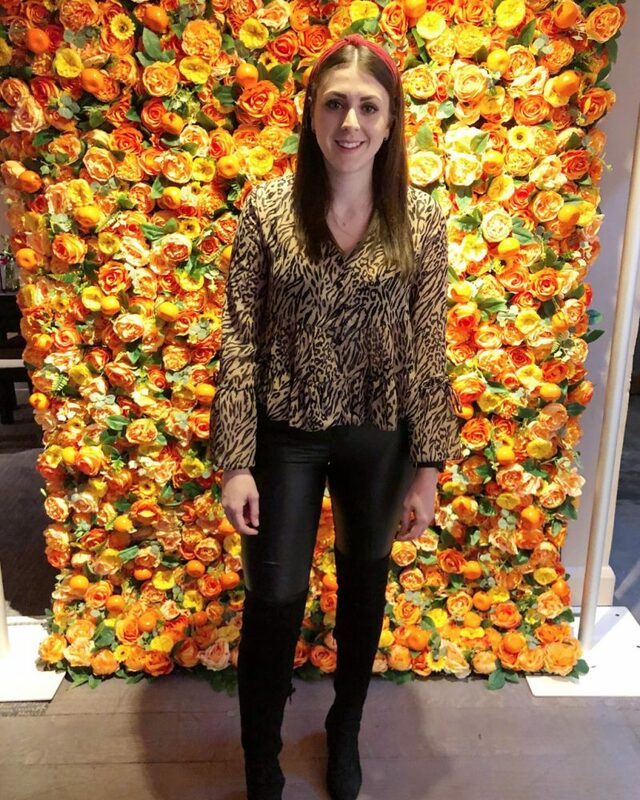 I went to an event a week or so back where I turned up and was asked the usual ‘and where have you come from’, question from the PR and when I responded that I was merely (lol) a blogger who blogs in her spare time, and has a full time job, the PR lady was quite taken a back, and it prompted me write a post I’ve been meaning to post for a while. More and more I am seeing blogs crop up, old and new, stating that their end goal is to be a full time blogger. And you know what, that is great, good for them, I’m all for achieving your goals, and if you want something, go get it. However, I am finding that in a world of such incredible and varied blogs that are becoming glossier and glossier, it is hard to keep up, and I feel like i’m losing my place, simply because I don’t share these aspirations and that events are starting to become targeted at ‘full time bloggers’ when they are timed during the day (grrr). So I wanted to share my reasons as to why I am perfectly happy to remain a gal who simply blogs in her spare time, for the sheer pleasure of just writing and sharing her thoughts, all whilst maintaining a separate full time job. My main reason is simply that I adore people. I am a people person. I thrive off of other peoples energy and vibes, and I think daily person to person interaction helps me in many ways. I also love how a career outside of blogging pushes me as a person, to develop skills, try new things, meet new people, strive for new goals and on the whole better myself daily – not saying that as a FT blogger you can’t do this, but on the whole in an office structure this is more attainable. I think I would drive myself INSANE if I had to stay alone all day, blogging away, doing social media etc. I need a reason to actually get dressed in the morning, instead of slobbing about in my dressing gown. I also really like the eye candy in the office too. On the flipside though, I could say that blogging can also help you to develop these skills as it totally forces you out of your comfort zone, if you let it, and I have found my confidence in talking to complete strangers has 100% improved. In fact at an event on Friday, a lady doing my hair was totally shocked that I had ever been shy, and I do have blogging to thank for that. My second reason is that this blog came about as a way to release stress, to take my mind off of work, school, uni, and everyday life and to do something I genuinely enjoyed doing. I think that if I threw in the pressure of it being my full time job, my creative side would shrink, and the business side would dry up any fun or natural content, taking away my only creative outlet. I can’t imagine waking up and stressing about e-mails and blog posts and deadlines on a bigger scale, knowing that my rent or food for the week depended on it. And whilst I am super happy to make some extra money a month from sponsored content and brand partnerships etc, that is the way I would love to keep it. And lastly, I feel like the term ‘full time blogger’ is a myth. No full time blogger makes their sole income from uploading posts, and writing full time, well THAT is the dream. However full time blogging isn’t just writing about what you love, it’s the social media promo, brand partnerships, ambassadorships, sponsorships, travel, projects, events, advertising and branding yourself etc that comes with it, and right now, I’m not sure that is for me. And that is fine. Of course I understand, everyone has their own reasons and opinions on this subject, and these are just my reasons as to why the idea of blogging full time just does not appeal to me right now. But then again, who’s to say that 5 years down the line circumstances change and it might be appealing. Who. Knows. So if you want to be a full time blogger one day, or you are now, go you, you’re achieving your dreams, But if your dreams lie elsewhere, and blogging full time won’t be your thing, also, go you – achieve those dreams. So that’s my twopence on the topic, what do you think? Does blogging full time appeal to you? Are you a full time blogger?